We’ve done many demos with our robot at our local library this summer. During these demos, we’ve seen a lot of public interest in FIRST from both young students and their parents. 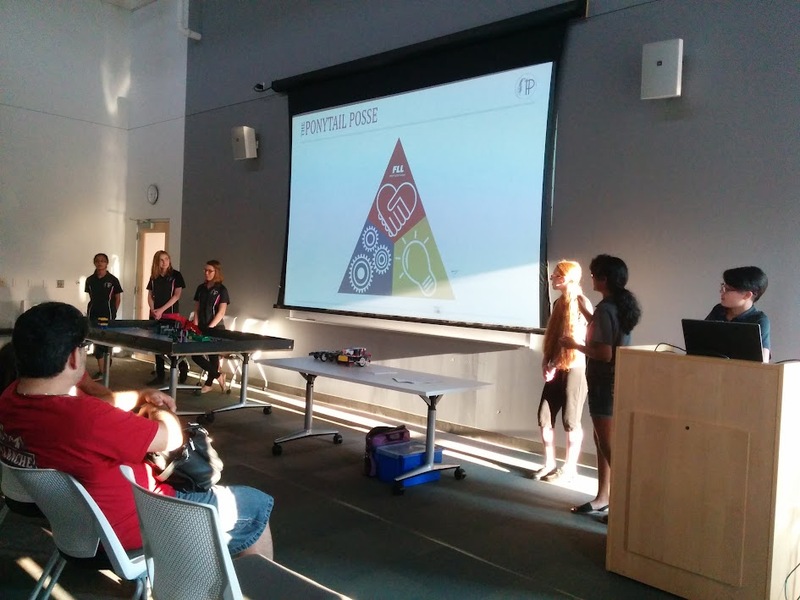 We decided to host info nights for FLL and FTC at the Roseville library so the people who were interested could learn more. At the presentations, there were several families who were interested. We explained the different programs within FIRST, giving a brief overview of each and then going more in-depth to whatever program we were talking about that night. In the presentation, we described each section (robot, project, core values and robot, engineering notebook, and outreach) in detail. By the end of each evening, the attendees had a better understanding of FIRST robotics and all the parents said they would look for a local team for their child to join. 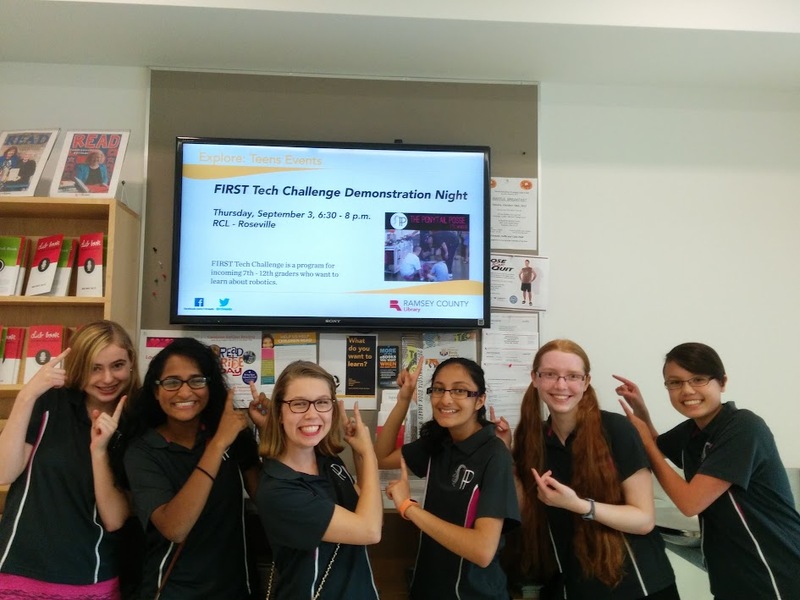 Click here for our FLL Info Night presentation and here for our FTC presentation!